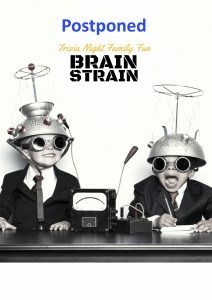 We regret to inform you that the SHAPE Brain Strain Trivia evening will not take place. We would like to thank MC and comedian Jenny Wynter for offering her time to host the event and for the support of the SHAPE Committee and our volunteers. We’d also like to thank the school staff for their support. Unfortunately, at this very busy time of year we were not able to register enough ticket sales to move forward. However the Trivia group has done a mountain of work so we’re hoping that we might be able to dust off the questions next year. Many thanks to those who have purchased tickets, we’ll be in touch regarding refunds. We look forward to seeing members of the school community, especially the fabulous athletes who benefit from the work of the SHAPE Committee, at other upcoming SHAPE events. Great Family Fun Night for adults and young-adults.